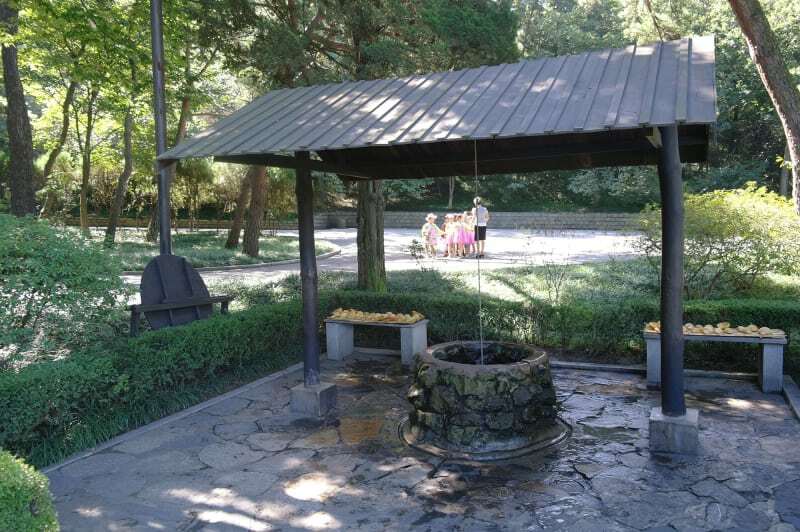 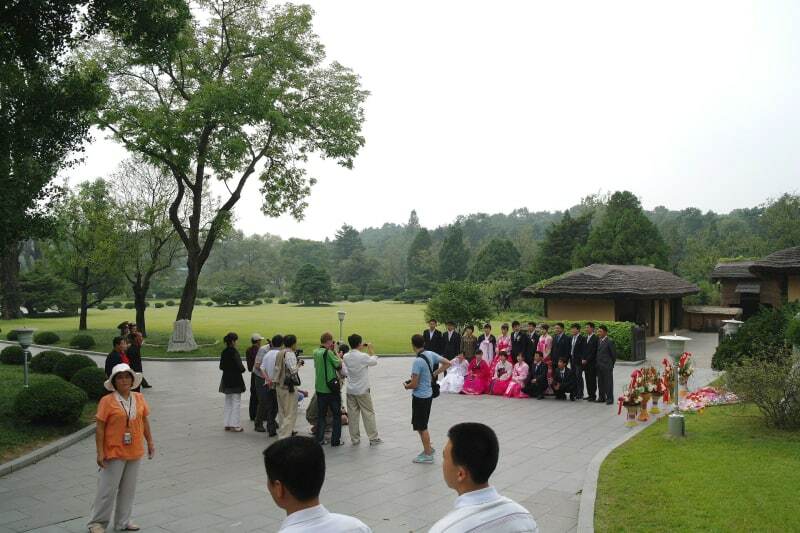 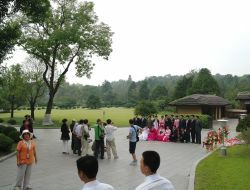 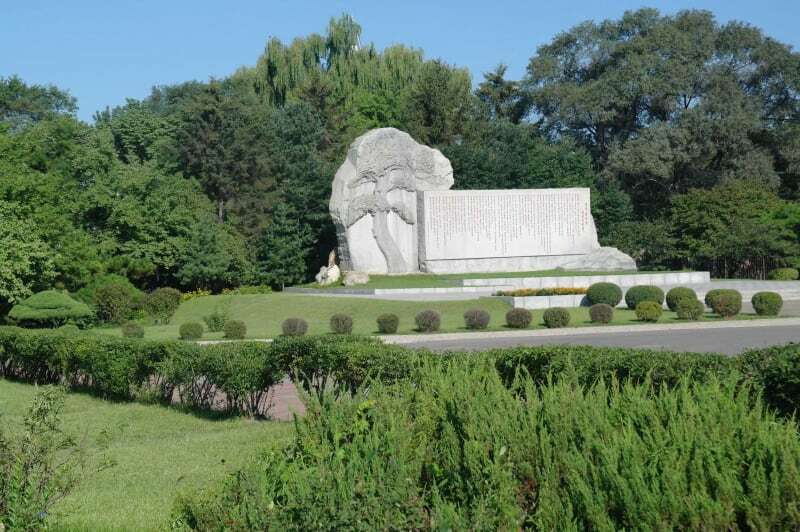 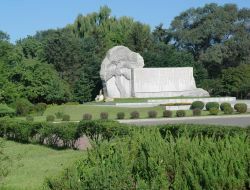 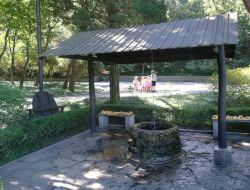 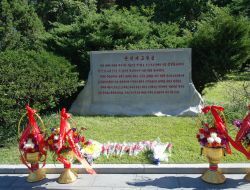 Located a kilometre from the centre of Pyongyang, Mangyongdae is the place of Kim Il Sung’s birth. 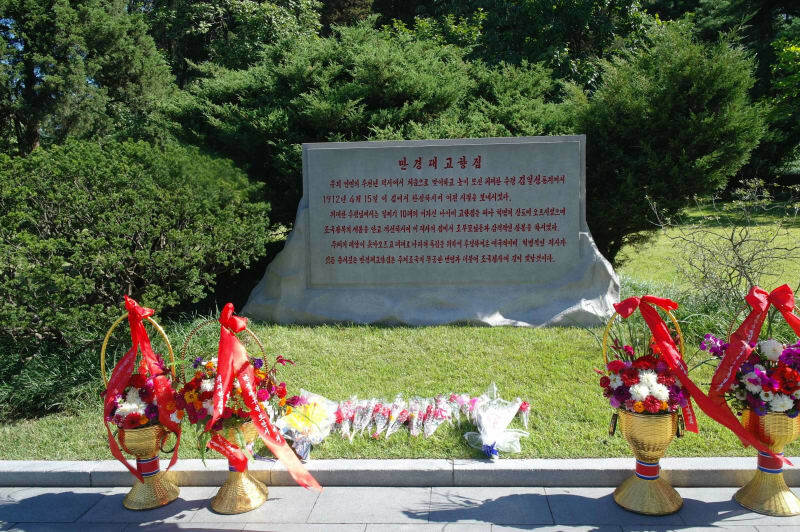 President Kim Il Sung was born here on April 15 1912 referred to in the DPRK as Juche 1. 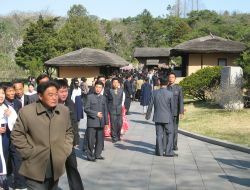 His birthday is one of the main holidays in the DPRK. 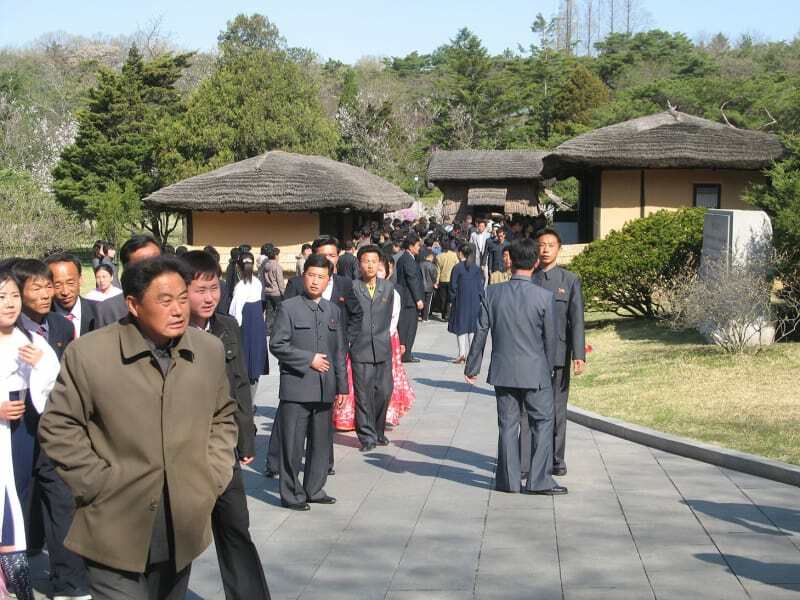 The Eternal President of North Korea was the eldest son of his family. 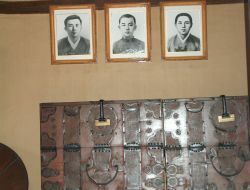 He left Korea at a young age and then returned after the liberation of the country in 1945. Mangyongdae has long been a destination for day-trippers from the capital, due to its idyllic setting amid the gentle hills where the Sunhwa River flows into the Taedong. 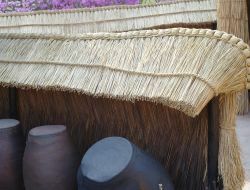 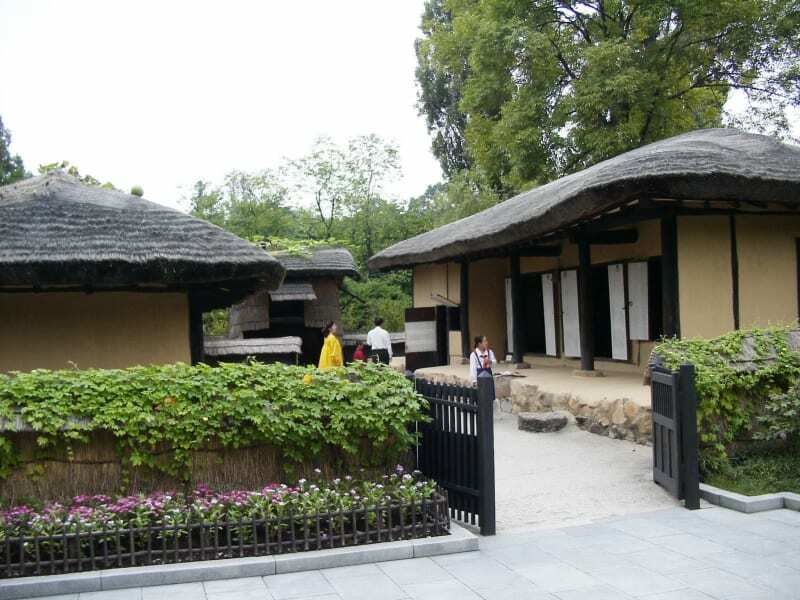 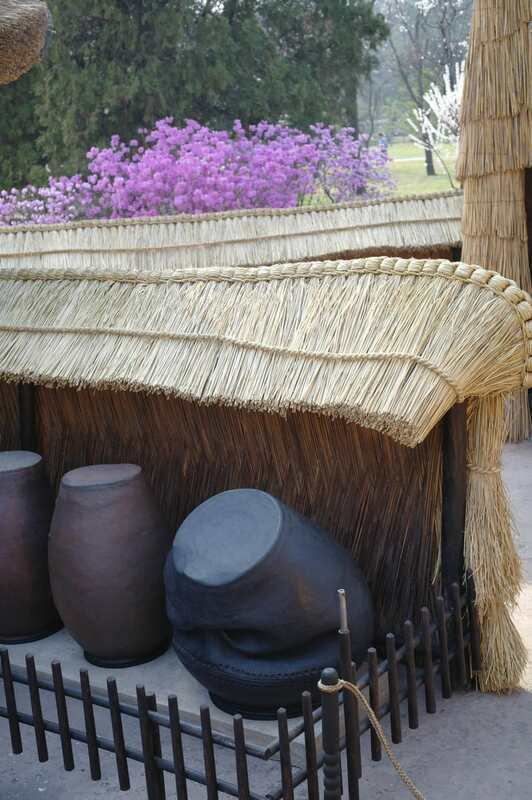 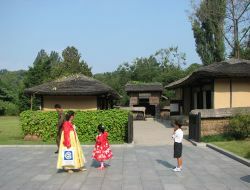 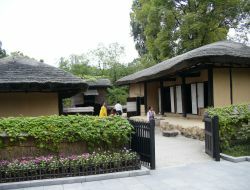 Kim Il-sung’s birthplace is a collection of traditional huts: a typical Korean peasant house with a thatched roof and a block of living rooms, as well as a small barn. 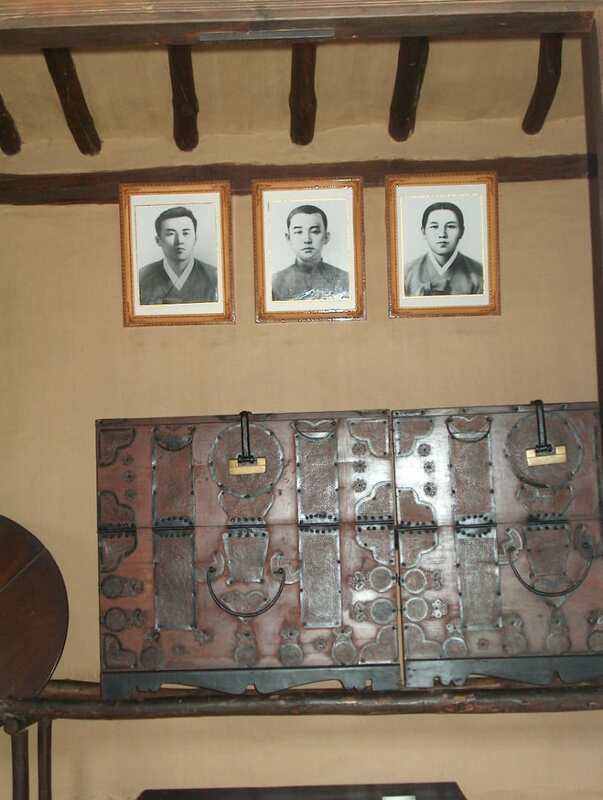 The Mangyongdae Revolutionary Museum , located nearby, continues the theme of the Great Leader’s childhood and makes the point that all his family members were Korean patriot revolutionaries.